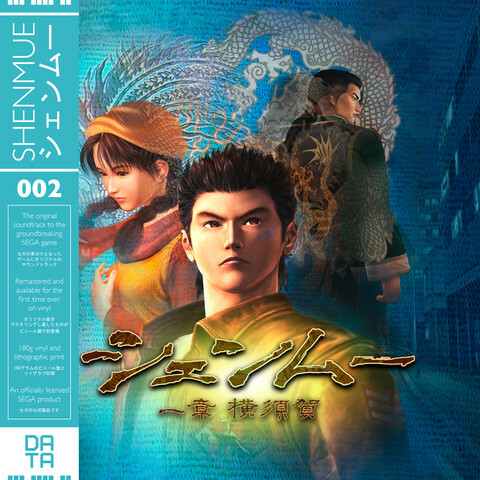 British Videogame Music Vinyl Record label, Data Discs, will have a SEGA Vinyl Leftover Sale today, which includes recent releases Shenmue, Hang-On, Streets of Rage, and Shinobi III. This weekend we will be selling some leftover copies of STREETS OF RAGE and SHENMUE. This will include a small number of the limited editions, along with the translucent colour and black editions. To be clear, these are NOT the represses. Some of these copies were held back as promos (which went unused). The majority however, were copies that arrived with misprinted OBI strips, which subsequently had to be replaced. All of these copies are NEW and UNPLAYED, some have just had new OBI strips fitted. Therefore, please be aware that many of them are NOT sealed in shrinkwrap – they are now packaged in resealable polythene sleeves instead. So please do not buy one if you want a ‘sealed’ record! These will go on sale this SATURDAY (24th October) sometime between 5:00-6:00pm (UK time) through www.data-discs.com. There are a couple of rules though, so pay attention! – The ‘limited editions’ are restricted to ONE COPY per person, no exceptions! If you have previously bought one from us, then please don’t buy another. These are for people who missed out the first time around. Please play fair. – Any funny business and your order will be subject to cancellation. – The other editions are not restricted, but please be aware that the maximum number of records we can fit in one package is THREE. – All copies will be sold at the normal price of £19.99. – We’re not sending out a newsletter about this (as there aren’t very many copies available), so please spread the word. – The product pages won’t be updated until just before they go on sale. So head over to their site and grab your copies if you still haven’t!